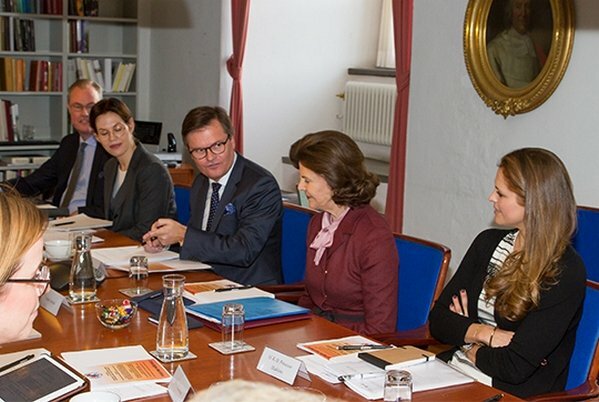 Yesterday and today, The International Council Meeting of World Childhood Foundation was held with the attendance of Queen Silvia of Sweden and Princess Madeleine of Sweden at Stockholm Royal Palace. (Queen Silvia of Sweden is the founder and patron of World Childhood Foundation. The Foundation has held the first World Congress Against Commercial Sexual Exploitation of Children in Stockholm. The purpose of the Foundation is to protect the children from sexual abuse and to support the children and young mothers who are victims of that crime. World Childhood Foundation carries out 115 different programs in 17 countries in order to prevent child abuse and help the victims). A very difficult subject that two very beautiful and courageous women are truly engaged in. I'm sure that a lot of their work they do on this is never seen or heard. Princess Madeleine said that she chose to keep her title for the reason that if she because of it can highlight important matters and lift them to attention then that's her duty. Then she should use her title more in the media adressing these subjects. How often do we see her highlight important matters and lift them to attention except a few meeting in Childhood every year? 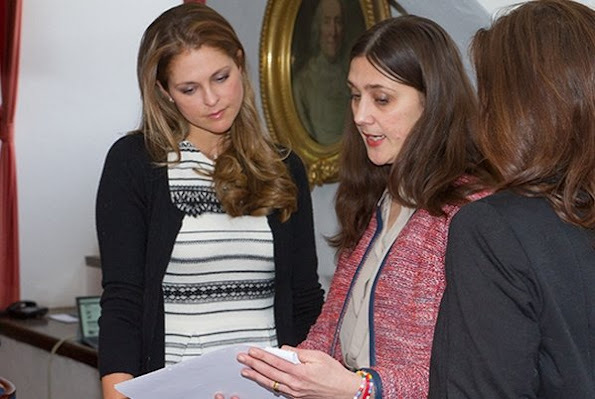 Does Princess Madeleine a charityproject on her own? Can somebody help me, please? Princess Madeleine mostly works at the World Childhood Foundation, but the Princess Co-Founded the ThankYou by Childhood cproject (it works to raise awareness of the issues surrounding the sexual abuse of children), and then there was that Eyes Wide Open project (every child's safety is our responsibility!). These are sensitive and pretty hushed up issues, but very necessary do deal with. She's also the patron of the organisation Min Stora Dag (there will be new event next Monday (22/2) with Min Stora Dag where Princess Madeleine will take part). I guess that right now she has been devoting most of her time on her children who are still very little, so we get to see her quite rarely. But hopefully she will be more active when her sister and sister-in-law will be on the maternity leave. She's one of my favorite princesses and its always a pleasure to see her. One? MinStoraDag(MyBigDay), granting wishes of seriously ill children. She is the patron of Europa Nostra Award also. Its so good to see mother and daughter working together. Princess Madeleine looks so beautiful, btw. Love her hair. Madeleine looks very good. She is my fav. royal ever since. The period with the very dark hair wasn't that flattering but lately she looks impeccable. Her hair is so perfect, lucky her! The Swedish Royal family is perfect in every way, duty, beauty, family closeness. Sorry to ask but curious...was Queen Silvia ill at some point? does she wear a wig? what was she thinking when she had a plastic surgeon do something to her youthful stunning unbelievable face? With all respect, maybe there is an answer I'm not aware of. I wouldn't mention it if I didn't stare at her hair wondering what went wrong. please forgive. 1. No 2. No 3. Have no idea and she have had several surgeons including 2 facelifts. I don't think that she wears a wig at all. If there is something that is all hers, I definately think about her hair. She's got lots of it, thick and beautiful. Her daughters, especially Madeleine got theirs from her. It's only a pity that Victoria only wears ponytails but try to Google some pics of her with loose hair to you would be very surprised. As far as surgeries are concerned, I think that she must have lots of insecurities because of her husband's constant cheatings. That's my opinion. I only hope that her daughters won't follow her steps because both of them are naturally beautiful like their mom and don't need anything. oh my, to see the fairy tale crumble is awful and a real heart breaker. Good to see her now surrounded by loving family and grandchildren. Those Kings do not know when they have a treasure do they? thanks for your answer. Motherhood clearly suits Princess Madeleine. She looks more and more beautiful and content. So happy to see her back to work, even if for some events only. Very nice project! But I think the second picture isn't of this year? Because Madde and the queen are wearing different clothes there. 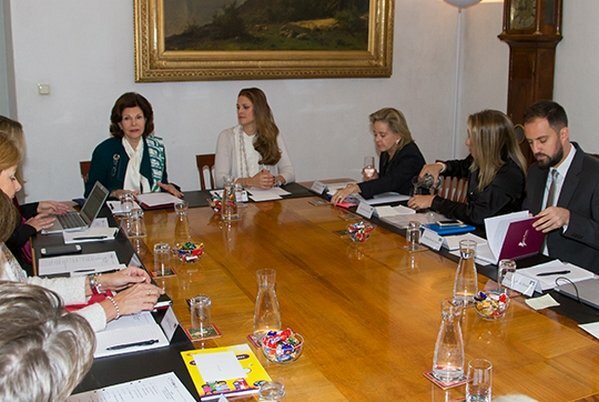 Also love Queen Silvia's hair.